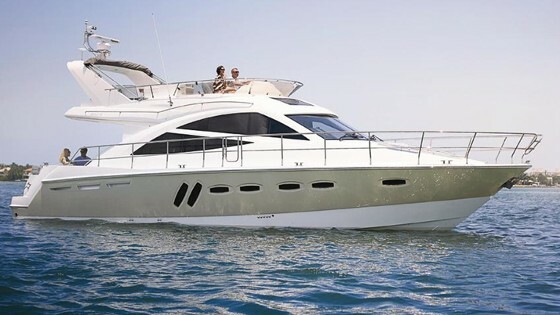 Pleasure and Performance have a new home, the Sealine C390. 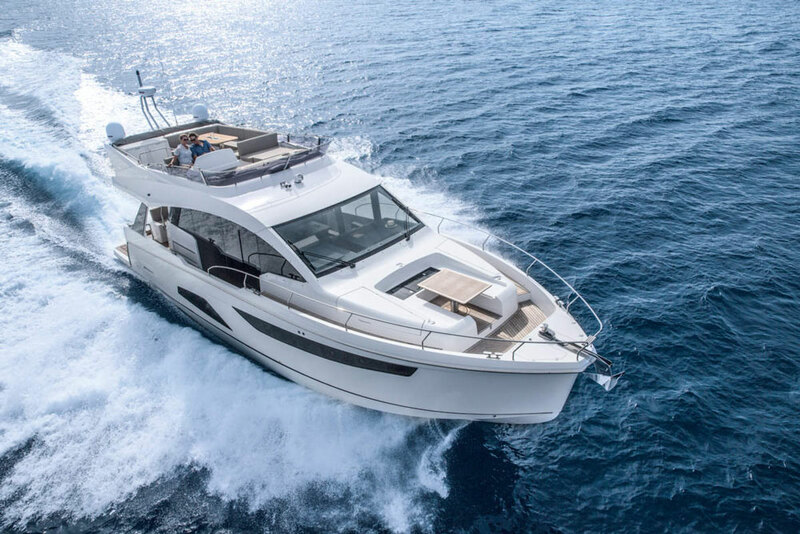 Who would have thought that Sealine could possibly bring you more panoramic views, more sunlight, more freedom and more cabins, well they can in the C390. Its floor to ceiling windows and large skylight mesmerise the senses giving an overwhelming feeling of space and openness. With up to 740hp the C390 will take you away from your daily routeen and with the added extra of a double co-pilot seat, more passengers get to share the excitement of "being up front", with even more guests able to enjoy the thrill of the cruise from the convertible bow sun lounger which switches to bench seating in just seconds. The Cockpit freely transitions to saloon by bi-folding doors and tilt up window and when its time to relax these turn the cockpit into a lounge landscape. 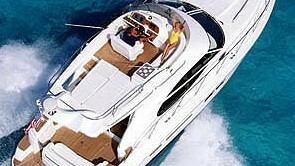 Escape from the sun and cool down in the shade by opening the saloon roof sections and push back the bimini. What makes the C390 special is the option of a 3 cabin layout, which is extremely rare for a powerboat in this size class. With the three double cabins and 2 bathrooms she offers sleeping space for up to 6. The C390 has been crafted without compromise. From the shape of the hull to the engines, Sealine have pulled out all of the stops to ensure the C390 gives you special moments on the water. 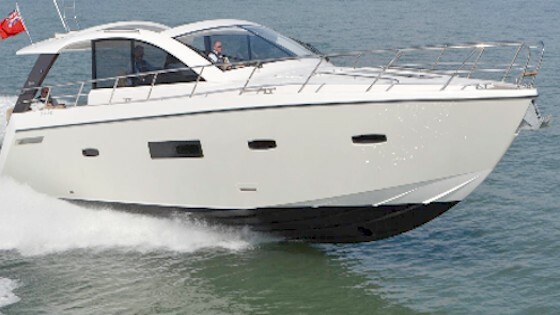 The price shown is for the base boat only fitted with the standard specification and standard engine option. The price also excludes IVA, transport and commissioning fees. For details on available engine upgrades and optional extras please contact our office where our sales team are waiting to help you. * GRP hull, ISO NPG gelcoat, colour : STAR WHITE, 1st Layer vinyl ester resin, sandwich construction, composite structural bulkheads. * Waterline, isophthalic gelcoat, colour : Black. * GRP deck, moulded antiskid surface, ISO NPG gelcoat, colour : STAR WHITE, 1st layer vinyl ester resin, sandwich construction, anchor locker, self draining, anchor arm stainless steel. * Fender strip, rubber, colour : BLACK. * SEALINE steering wheel and throttles. * Full windscreen with pantograph wipers and screen wash.
* Cockpit, opening roof, manual. * Panoramic side full glass windows, skylight in saloon and 2 openable hatches in Saloon. * Bi-fold door between cockpit and galley and tilting window to enlarge galley into cockpit. * Bathing platform in fiberglass, bathing ladder with handrail and bathing shower with hot and cold water and opening stainless steel gate. * Stainless steel pulpit, 4 stainless steel mooring cleats, stainless steel handrails. * Seating "L" shaped bench with fixed backrest with storage underneath and teak bar. * Bench at bow, GRP surface. * 2 x Volvo Penta D4-300 (300hp), Stern Drive propeller : T3 (TBC), 2 Volvo Engine instrumentation 2.5" displays. * Fuel tank, capacity : 900 litres. * 12V and 230V electric system with 230V shore power connection and switches, sockets in saloon (1), master cabin (2), VIP cabin (1), galley (2), toilets (2), engine room (1), 12V on dashboard (1) and storage room (1). * Light in cabins, saloon and galley with dimmer. Dimmable indirect lights and reading lights in cabins. Lights in toilets, cockpit and engine room. * Bilge pumps : automatic electric 92) and manual emergency bilge pump in cockpit (1). * Standard dashboard with engine room fire extinguisher system. * A1 - Master cabin with double berth, 2 wardrobes and sideboards with stowage and two bedside tables. 1 drawer underneath the bed. 3 skylights, one openable, direct access to separated head. Fully equipped head with separated shower stall with skylight, handheld shower and comfort seat with wood cover. * B1- VIP cabin with twin berth, wardrobe and sideboard with stowage on port side, skylight. 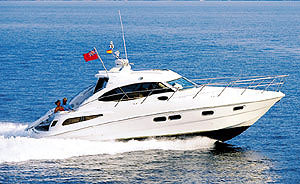 * C1 - Storage room and fully equipped day head with separated shower stall, hand held shower and seat on starboard side. * D1 - Saloon with "L"shaped sofa, pilot seat, galley with stowage, fridge with freezer compartment, gas stove - 2 burners, 1 gas oven and sink with draining basin. * Saloon table with fixed leg. * Counter tops in galley, in BISTRO material (according to colour card). * Upholstery scheme in BALTIMORE (according to colour card). * Exterior seating material in SARDINIA, colour GULL WING (according to colour card). * Upholstery helmsman seat : BALTIMORE (according to colour card), bed frames and bedheads ina ll cabins in soft material, colour : SILVERTEX ANTHRACITE. * Standard mattresses in all cabins. * Interior furniture in high quality marine plywood. WELLINGTON WOOD (according to colour card). * Floorboard in saloon, galley and cabins - AUSTRALIAN ACACIA (according to colour card). * Identified locations for hand held fire extinguishers - (hand held fire extinguishers are not supplied) SEALINE owners manual in SEALINE document bag.